New Year, New You Enrollment Extended! Just Announced by CEO, Logan Stout!! The promotional $199 New Year, New You Enrollment kit has been EXTENDED from now until Revolution 2019! 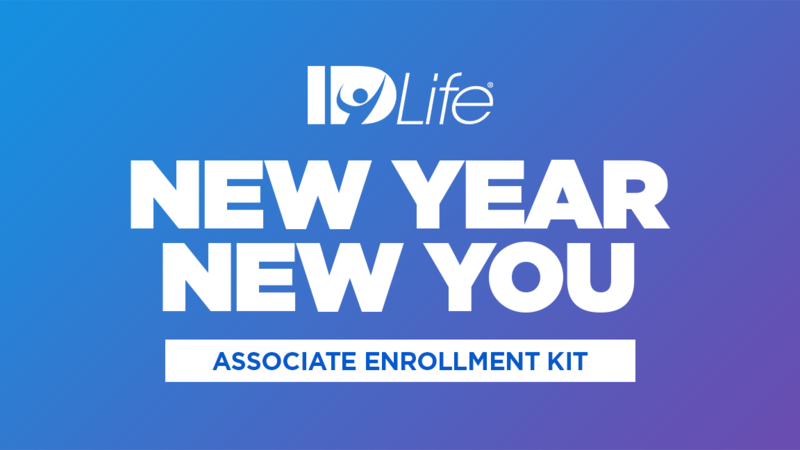 For $199.99, new Associates can jumpstart their IDLife business with everything needed to kick off a happy and healthy 2019. The New Year, New You Kit features some of our most popular products, including Slim+! This promotional Associate Enrollment kit will only available for a limited time, now through Friday, February 22nd at 11:59pm PST. The New Year, New You Enrollment Kit pays a $50 Business Builder Bonus to the enrolling Associate. This special pack will come with 299.99 TQV which will contribute to the new Associate’s overall PCV. As an added bonus, new Associates can also purchase Revolution tickets for just $20.19 during enrollment. We cannot wait to see you in February at Revolution 2019!